When he was a kid, Magoo liked singing around the old campfire. He also liked listening to those who played the instruments, but for some reason, as much as he wanted to, he didn’t think he could play an instrument. He was 20 years old before someone showed him an Em chord on a guitar. 2 ½ years later he was playing music for a living. 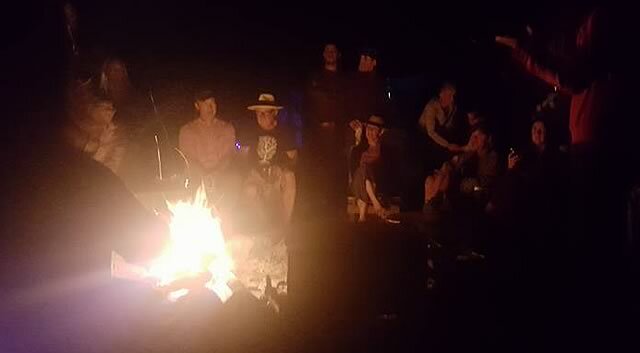 If you have thought about improving your playing and singing skills to the point where you too can contribute to a ‘campfire session’, this is the workshop for you. Timing, tuning, technique, chord changes and learning to listen when the changes happen will be part of the course. Learn to play a favourite tune, and learn how to play with others. Guitar, ukulele or mandolin would be best for this session. A self-taught musician who plays guitar, harmonica, uke, mandolin and a few other things, he has taught hundreds of folks of all ages to play music and has played music with thousands of folks. He figured music festivals were just about the best thing going after playing a guest set at Blue Skies in 1977. It must be true because he has returned every year since. 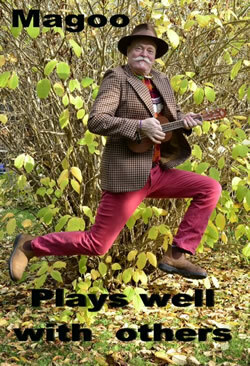 An award winning family performer, he is well known as a fine songwriter, stage host and facilitator for those who would like to learn to play and sing ‘round the campfire’. He is the 2017 recipient of Folk Music Ontario’s Estelle Klein Award. He is currently the President of ArtsCan Circle, an organisation founded by Mike Stevens that has been sending artists and musical instruments to seven Northern Aboriginal communities in Labrador, Northern Ontario and Nunavut.